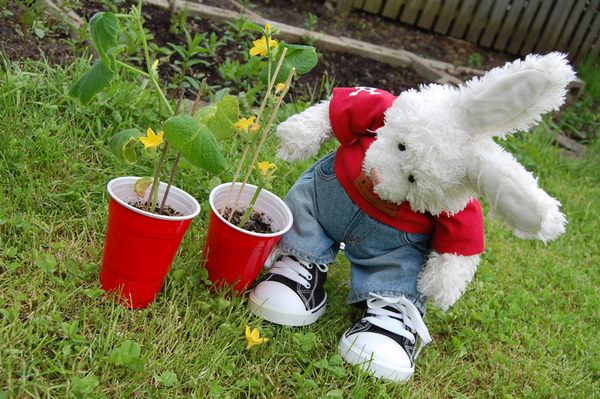 Rufus: iz gonna plant cucumbers..OOPS! Zackary: WAHT DID U DO??!! Zackary Rabbit r dem da bushy kind or viney kind? Zackary Rabbit I never thought about what cucumber plants look like they are quite pretty aren't they! what if I glue the flower back on??! !